*Journalist & author, Maurice Neill’s collection of short stories ‘Irish Tales’. Richard is endowed with the ability to ‘see’ beyond his own world. 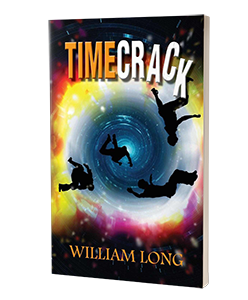 Can he help Archie to find their parents, and help the scientists at Mount Tengi. "‘Really exciting and very absorbing..."
"A rollercoaster Sci-Fi adventure that flings readers headlong into other worlds..."
"I’m unable to put the book down at night..."
In the middle of a raging sea, a timecrack leaves Archie Kinross, and Manuel, a young boy from the Yucatan, stranded on the deck of Abelhorn’s fishing trawler. 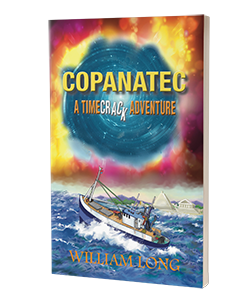 "Copanatec is even better than Timecrack. 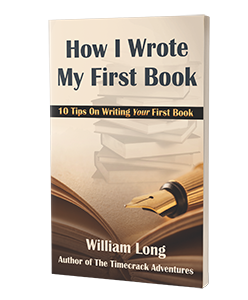 Both are real page turners..."
"Once I started to read How I Wrote My First Book I could not put it down..."
"I found How I Wrote My First Book clear, concise and readable..."
"From a professional point of view your guide was very clear and easily read..."
In An Unexpected Diagnosis William Long contributes his personal, tongue-in-cheek experience of his cancer treatment. 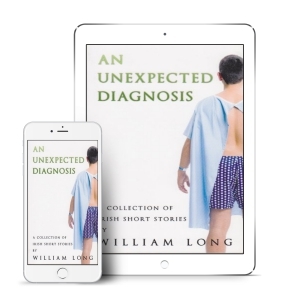 "Once I started to read Bill’s perspective on a cancer diagnosis is truly insightful..."
"...a fascinating read from the patient’s point of view." "A new collection of Irish stories will invoke a wide range of emotions..."